Once you make it home after a car accident, you might be wondering: Should I see a chiropractor for car accident treatment in Frisco? Some people avoid seeking out chiropractic treatment. If they don’t experience immediate or intense pain, what’s the point? Actually, seeing a Frisco chiropractor after an accident is essential. Why? You should see a chiropractor immediately after an accident for car accident treatment – otherwise, you risk some serious consequences. A chiropractor can evaluate you for damage that you may not know you’ve sustained simply because you can’t feel it yet. Additionally, early treatment means you can avoid long-term damage. Your chiropractor will make sure the right medical action is taken to repair damage from the accident and prevent more damage down the road. An accident is scary, stressful, and more often than not, painful. Arora Family Chiropractic can help. When you come in for a post-accident consultation, we’ll create a custom treatment plan and provide car accident treatment. If you need a referral to a trustworthy accident attorney, we can provide that as well. Dr. Arora and his team believe that no one should suffer needlessly from pain. If you’ve been in an accident, you’ll receive all of the help and support you need during this difficult time. 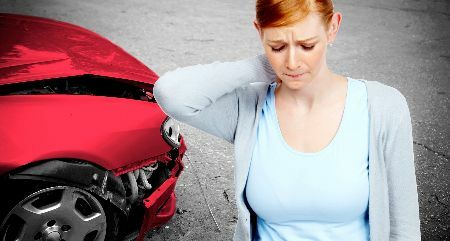 If you’ve been in a recent automobile accident, call us right away at (214) 618-7746. During our consultation and evaluation, we’ll create a treatment plan to reduce your pain and the risk of further damage.